The Institute of Fundamental Medicine and Biology was established three years ago.Translational medicine has been its main focus since day one. Director of the Institute Andrey Kiyasov speaks about what that entails. – The goal of translational medicine is to increase life expectancy through «translating» research results into new types of diagnostics, treatment, and rehabilitation. First of all we created a solid infrastructure with collective use centers (genomics, proteomics, microscopy), labs, and the Pharmacy Research and Education Center. When Competitiveness Program came into force, we started creating Open Labs. Mostly our research is conducted in the way that makes it translatable into practice. 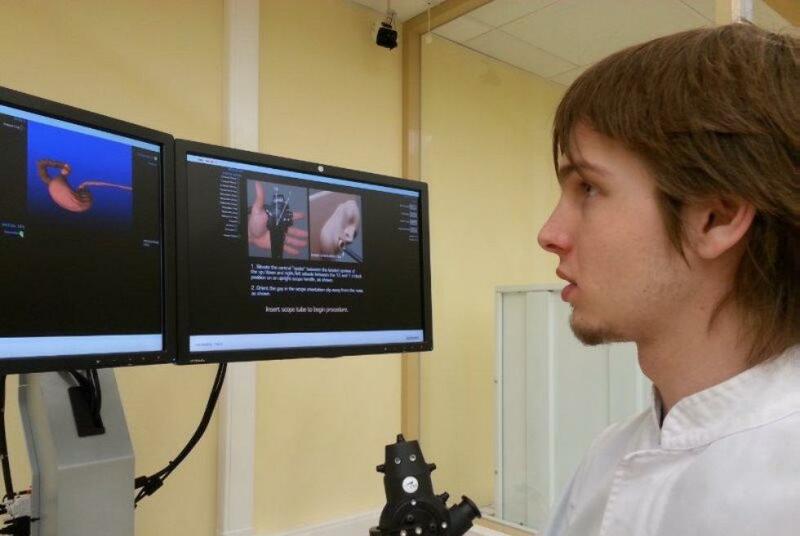 – Kazan University now has its own clinic. Many medical universities cannot even dream of that. – That was always a very pertinent issue. We have to give credit to President of TatarstanRustam Minnikhanov and Rector Ilshat Gafurov – it’s thanks to them that the Second Republican Hospital was transferred to the University. The University Clinic will start working since January 2016. We started some works even before the transfer took place. One of the buildings was renovated. There we placed a biobank, a diagnostic lab, and clean rooms for cell manipulations. After that the Clinical Research Center was established. The new genomics center, created in cooperation with RIKEN, will also be situated there. – Tell us something about the Insitute’s partners in translational medicine. – Among prominent Russian scientists I can name V. Govorun, A. Gabibov, Ye. Nikolsky,they are the “locomotives” of research. There are many international projects in translational medicine. Genomics Lab will function in cooperation with our old partner RIKEN. One of the first planned projects is side effects research. Some of side effects depend on genetic structures. So that means they are contraindicated to some patients. It must be understood that most side effect consequences are irreversible. In our country, unfortunately, most patients are often treated with the same medications. While in the USA, for instance, there are more than 130 drugs that must be tested for genomic contraindications before pres­cription. Furthermore, during the recent Rector’s visit to Japan a trilateral agreement was signed among RIKEN, KFU and Juntendo University. We are interested in jointly constructing personalized simulators. We want to create simulators to whcih we can upload personal data obtained during tomography. This is necessary for the surgeon to first test his procedures on the simulator and then move to the operating theater. Of course, making such simulators will take some time. We also plan to help our colleagues with educational projects. – You visited the United States in November. What was the objective of the trip? – To participate in a conference held by Russian-Speaking Academic Science Association. The organization was established 10 years ago by Russian expats in the States. Some of them are renowned medical professionals, chemists, physicists. The organization now has branches in several countries. We presented our translational medicine projects to the Association during the last year’s meeting. It was approved – unlike those of other universities. So then our mail exchange started. Finally we were able to discuss everything face-to-face this November. During that year we opened RASA labs. The first is Electronic Synapse Open Lab headed byViktor Erokhin (Institute of Materials for Electronics and Magnetism, Italy); the lab will soon be renamed. Then there is the Protein-Cell Interaction Open Lab headed by Rustem Litvinov(University of Pennsylvania, USA). And the third one is Molecular Basis of Pathogenesis and Treatment of Tumors Open Lab headed by Igor Serebriisky from Fox Chase Cancer Center, USA. All three are joint KFU – RASA labs. They will form the foundation for the KFU – RASA Translational Medicine Center. So our translational medicine will develop within three domains: own research, KFU – RIKEN research, and KFU – RASA research. The research will be conducted in Russia, Europe, and USA, and the results will then be implemented in our clinic. – What’s new in educating students and advanced training for professionals? – We plan to have educational sessions with three Big Pharma companies. In October a joint educational cycle with Novartis was held, in November – with Pfizer. In November we also signed an agreement with Janssen with plans for educational projects as well. So we create loads of new programs for students and researchers.